On the last track, we discussed the consequences of badly executed hospitalization such as: a feeling of isolation; a discharge without being truly cured of the dilemma; and belittling the self-injurer. On this track, we will examine why adolescents are so vulnerable to the guiles of self-mutilation. These reasons include: a drive for perfection; triggers from childhood; and the construction of identity. As you know, most self-injurers begin harming themselves in adolescence, usually resulting from a severely traumatic childhood. Sometimes, however, adolescent self-injurers can grow up in a quiet, healthy home. Katie was seemingly normal seventeen year old who always received top grades in her classes and excelled at any job she put her mind to. Katie's outward persona did not fit the usual profile of a self-injurer, but her inner self did. She stated, "Before I self-injure, I am usually in so much pain emotionally. I feel helpless, hopeless, upset, and anxious. I really do not consider anyone around me. During the act itself, I feel completely numb, or I feel so much physical pain that I overpower my emotional pain. After the episode, I feel relieved, as if I have released some tension. My blood shows me I am still a human being." To account for her actions, Katie labels her self-mutilation as "delicate self-cutting." Louise Kaplan describes the term of "delicate self-cutting" as an "innocent-sounding diagnostic label" that Katie uses to separate herself from the coarse self-injurious behavior of others. As you know, Katie is part of a rising demographic of girls that strive for perfection in their everyday lives. 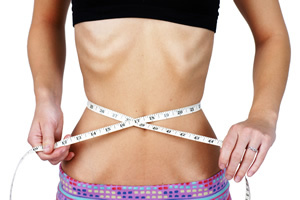 A comparison of this might be a client suffering from anorexia. As you know, the drive to be perfect becomes so strong for some girls that the pressure snaps their reality of what's healthy and good for them. You probably have found, like I, that self-injurers are more than likely to be the product of a violent home. Walsh and Rosen suggested that certain experiences during the adolescent years were triggers for the start of self-injurious behavior. Katie's father, Joseph, a chronic alcoholic, was not physically abusive, but all the same his behavior most likely influenced young Katie. She stated, "When he would get drunk or had a hangover or withdrawal, he'd yell if I left one speck of dust on the floor. Whenever I would say things in family therapy meetings, my dad would take them out of the meeting and use them against me at home." These triggers caused Katie to arrive at puberty in a vulnerable and unstable state. Teens like her have trouble dealing with the stressors involved in puberty because of the weight these triggers add. To cope, Katie turned to cutting. Another reason adolescents are so susceptible to self-mutilation is the fact that they are trying to establish their own identity. As you know, this is the time in a teen's life that they begin to separate themselves from their parents and to probe their independence. However, teens still hold an ambivalent comfort in the idea that their parents will still be there to protect and provide for them. They do not wish to be rushed to adulthood. Adolescents who self-injure face this period with alarm. Often times, self-injuring teens arrive at this time period having been deprived of the ordinary gratifications of attentive parenting. Katie was one of these teens. Deprived of her father's affection, she became pseudo-mature and developed the character of the strong one in the family. Without a childhood, Katie could not celebrate adult roles and responsibilities because they reminded her of her inconsolable losses. Katie stated, "Self-injury helped me cope, but it also disrupted my life. It forced others to take care of me." In this way, Katie was compensating for her under-parented childhood. On the other end of the spectrum, teens who are overparented lash out in dramatic ways to separate themselves from their overpowering parents. Lisa's boundaries were blurred by her mother's overly vicarious tendencies. Lisa, at 13, replaced her mother's perfect floral dresses with baggy sweatshirts and baseball caps. She soon turned to drugs, alcohol, and self-injury at 15 to even further alienate herself from her impeccably dressed country-club mother. Her mother, Agatha, was horrified and repulsed at her daughter's behavior instead of wishing to help Lisa heal. Lisa stated, "My mother made me feel so claustrophobic, like she was smothering me. I felt that by hurting myself, I was breathing. It made me feel like I wasn't like her." Lisa's most difficult problem was distinguishing her own identity from that of her mother. Unfortunately, Lisa took a self-destructive route to do so. I found that using the "Breaking the Silence" technique greatly increased Lisa's, as well as Katie's, ability to more constructively impress on her misunderstanding mother her need to let go. Lisa's relationship with her mother Agatha was heavily spotted with awkward silences which no one broke. Instead, Lisa and Agatha remained resentful and horrified of each other. To compromise for this, I had Lisa describe a situation in which her mother and she refused to talk when communication would have been key. Lisa filled in the silence with what she wanted to express and how she thought her mother would respond. Lisa: Mom, I just got this new piercing. Agatha: In your nose? Lisa, that is disgusting. People will think you're disturbed. Lisa: I wanted to be different. Agatha: Why do you have to be different in such a dramatic way? Lisa: Because you ran every aspect of my life so closely, I felt I had to do something drastic to pull myself away from you. Your protectiveness drove me to do the things I do. Agatha: I just wanted to make sure that I made the best life for you. I love you and want to keep from messing up your life. In constructing this dialogue, Lisa finally saw why her mother had been so stringently careful in her upbringing. This realization helped Lisa to forgive her mother for her behavior. Her release of resentment aided Lisa in toning down her theatrical demonstrations of identity. On this track, we discussed the reasons teens are so susceptible to self-injuring: a drive for perfection; triggers from childhood; and the construction of identity. On the next track, we will examine how loathing one's body and a preoccupation with food can lead to self-mutilation. Also we'll discuss the differences between male and female self-injurers due to the way in which they vent their emotions. What are the three reasons teens are so vulnerable to self-injury? To select and enter your answer go to Answer Booklet.